These butterfly fairies have a lot of detail and were just so much fun to do. The wings are based on real butterflies and moths. This is the sixth in this ongoing series. 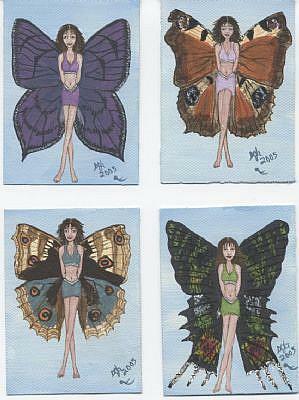 Don't forget to check out my other auctions for more great butterfly fairies. Each one is different. 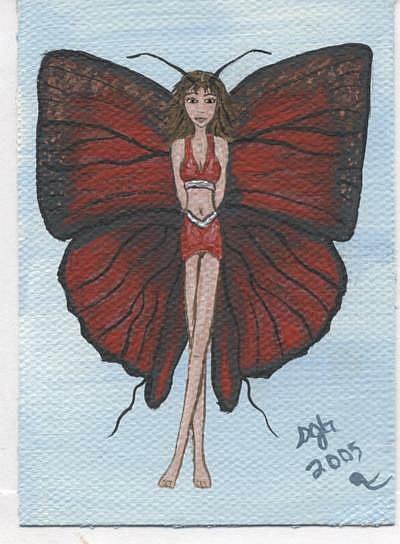 Enter ACEO in ebay search for other great artists doing Art Cards. Small paintings at affordable prices! 2 1/ 2" by 3 1/2"